This  page explains how to use and customise the responsive version of the booking page. 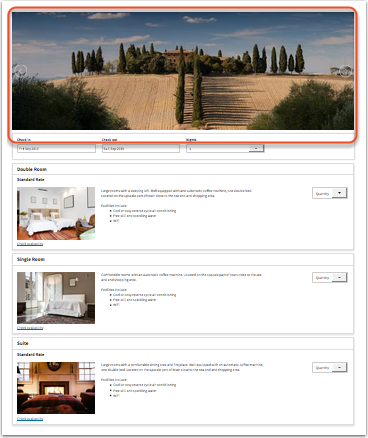 Go to SETTINGS->BOOKING PAGE->BOOKING WIDGETS->IFRAME to generate the code to embed the booking page into your web site. Use the context help (?icons) for information about the iFrame settings. 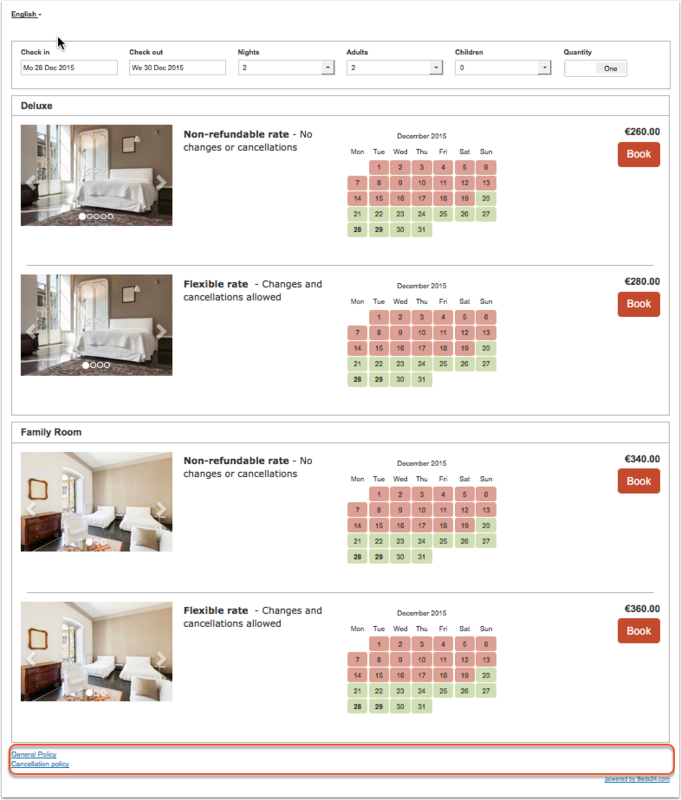 The design of the responsive booking page is modular allowing you to fully control the layout. We provide a set of default templates with preset modules. You can use these templates as they are or customise them to suit your requirements. The current default template is 7. You can use up to six different layouts at the same time if you want to display different looks on different web sites or blogs. The Facebook app uses the "default" layout which is set in SETTINGS-BOOKING PAGE. To upload pictures go to SETTINGS->BOOKING PAGE->PICTURES. Assign them to the property, room or offer where you want to use them. This set up wizard guides you through the set up. Login with your username and password and follow the steps. 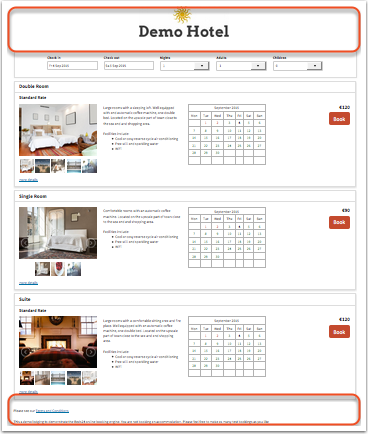 To customise the the booking page go to SETTINGS->BOOKING PAGE->PAGE DESIGN->LAYOUT. 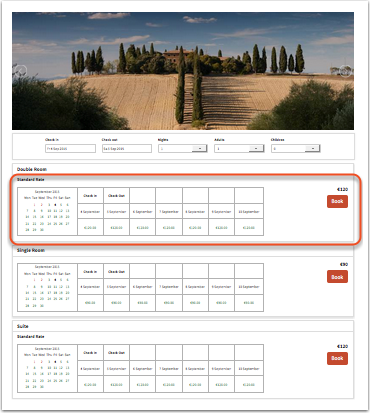 If you do not want to use multiple layouts leave the selector for "Layout" there and the selector for "Default Layout" in SETTINGS->BOOKING PAGE and the selector set to 1. Choose the template you want to use and then click on "Restore default". 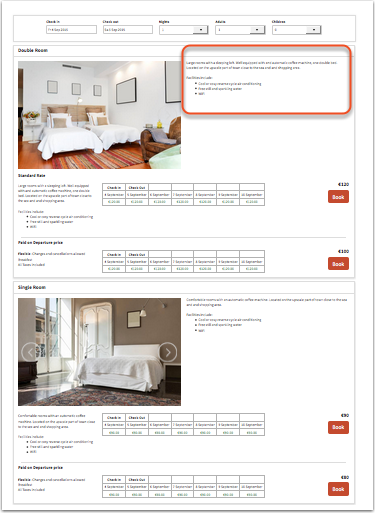 The responsive booking page consists of sections: "Offer" contains the standard offer for a room or unit. All other sections are optional. For each section you can choose from a set of modules. For most modules content needs to be added so they can display. Click on the context help (? icons) to see where you can enter the required content. Every module has additional settings which allow you to tailor the disply to your requirement. They are available when you click on "Manage". Demo: This demo gives you an overview on the mayor modules. To remove a module, click 'Position' and select 'not used' from the drop down list. 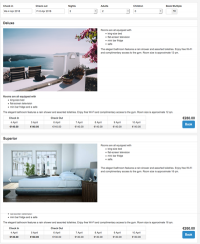 If you use the property slider or property picture and have "Style" set to "Full width" you will need to make sure the slider/pictures position is set to row 1 position 1, desktop full width and mobile full width. There should be no other module in row 1. Also make sure you deactivate all modules which you do not use. The "Policies" module will use display the policies you have entered in SETTINGS->PROPERTIES->DESCRIPTION. A link to policies on your web site can be please wherever you can enter descriptive texts. You can set up a "custom question" (Type= Checkbox, Use=Obligatory) in SETTINGS->PROPERTIES->-BOOKING QUESTIONS. If required you can add a link for example: "I accept the <a href="http://www.mywebsite.de/agb" target="_blank">terms and conditions </a>." Replace www.mywebsite.de/agb with a link to the terms and conditions on your web site. 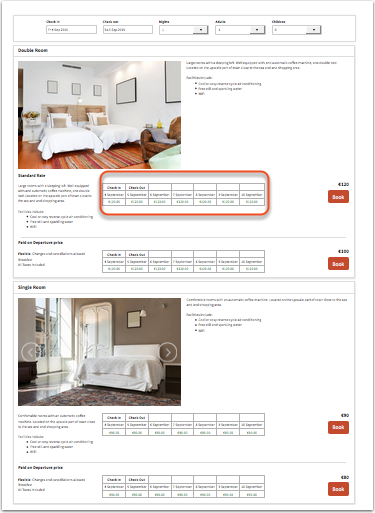 The "Marketing Column" displays only in the modules "Price Table" and "Price Calendar". Go to SETTINGS->PROPERTIES->OFFERS to enter the content for the modules. 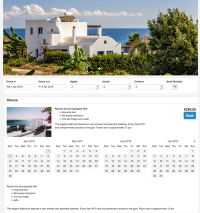 Offer Calendars and Price Calendars can not be used in the same layout. 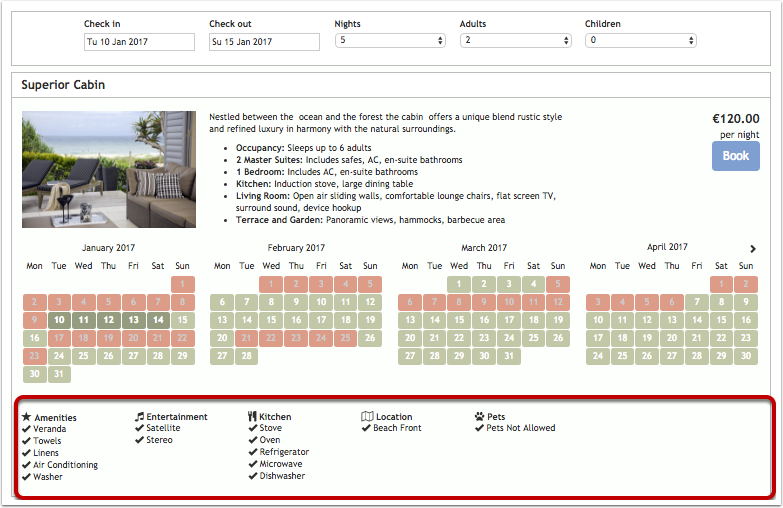 If you have multiple offers the calendar will show the same availability for all offers. Modules are placed in rows. Each section can have one or more rows. 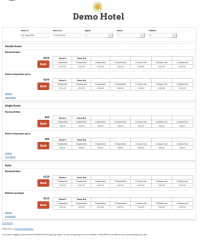 Width on desktop and mobile: Each row consists of 12 columns. The number of columns defines the width of the module. You can save your changes to this layout or under a different layout. The "Restore Default" option will remove all changes. 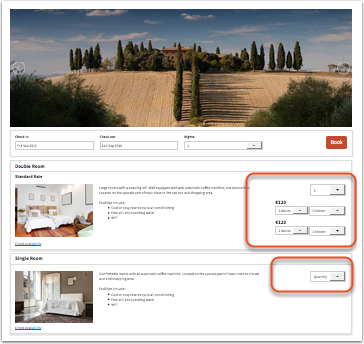 If you want to give guests the option to see your prices converted into other currencies you can activate a currency converter. Add for example &cur=EUR or &cur=USD to the URL to open the page with the conversion. If you are using Wordpress with a short code add cur=EUR or cur=USD to the short code. Go here for a complete list of currency codes. You can set your default language and activate multiple languages. Make sure you enter descriptive texts for all languages you want to use. 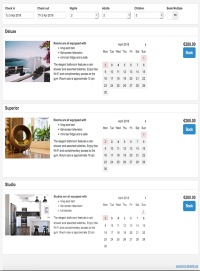 If you are using an embedded booking page on a multilingual web site you can embed you booking page with a different default language for each language version. Click here for instructions. Every module has additional settings which allow you to tailor the display on mobiles and desktops. They are available in "Layout" when you click on "Manage". General settings which apply to all layouts like minimum/maximum number of guests, nights, type of price display etc. are in SETTINGS->BOOKING PAGE->PAGE DESIGN. 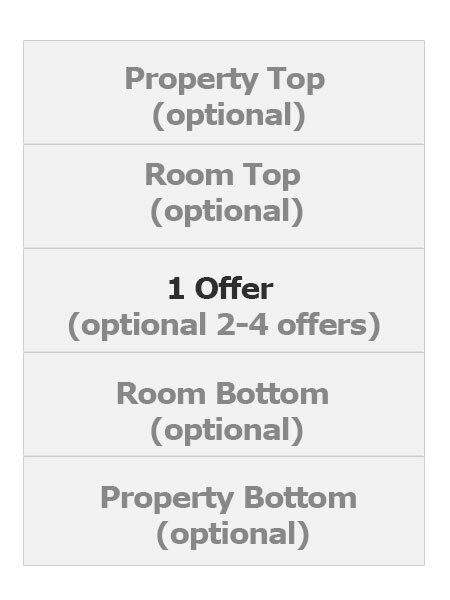 You can allow guests to book one room or unit, multiple rooms or units of give the the choice. The setting is available in SETTINGS->BOOKING PAGE->PAGE DESIGN. Go to SETTINGS->BOOKING PAGE-> PICTURES and choose your file and import. Scroll to the picture and click 'Manage', scroll to the bottom of the page and copy the URL. Click 'Edit', then find the 'Image' icon and paste the url into the URL box and add a description if necessary, resize as required, click OK. Use the other features to position the image as you required (centre, left, right). Additional messages can be added to the booking page in SETTINGS->BOOKING PAGE->PAGE DESIGN->CONTENT. This is also where you can change the default warning messages which show when a room is not available. Tripadvisor provides a code snippet for reviews. 1. Copy the widget code from your TripAdvisor account. 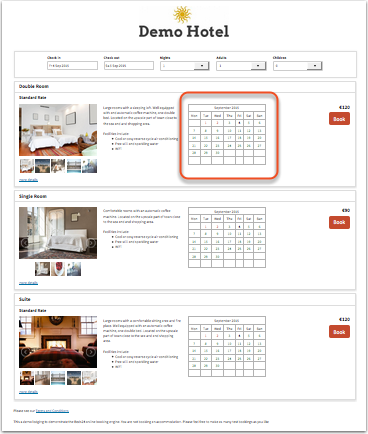 You can add the code snippet into and editable field on the booking page. 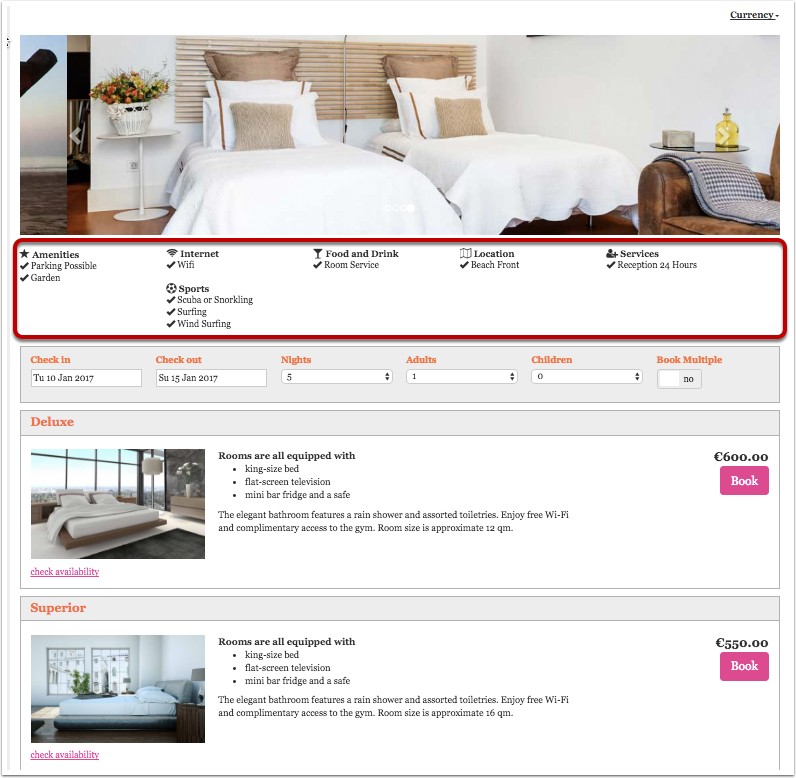 Click on "Edit" then in the editor on "Source" to insert the code into your booking pages source code. Make sure the module which you want to use is activated. To use this function you need an account withTriptease. For more information please see here. You can use a tool like https://cookieconsent.insites.com/download/ to generate a script which you can add in SETTINGS->BOOKING PAGE ->DEVELOPERS "Advanced HTML Settings"
See this help page for instructions. You can use up to 6 different layouts at the same time. The default layout is defined in SETTINGS-BOOKING PAGE. will display layout 2. If you are using Wordpress you can add a layout parameter to the shortcode as explained in the plugin settings. Stripe and Paymill insert their button and can not be changed. To change the text of any of the other payment buttons you can place this code snippet into SETTINGS -> DEVELOPERS -> "Advanced HTML Settings". Here you can find more developer options. 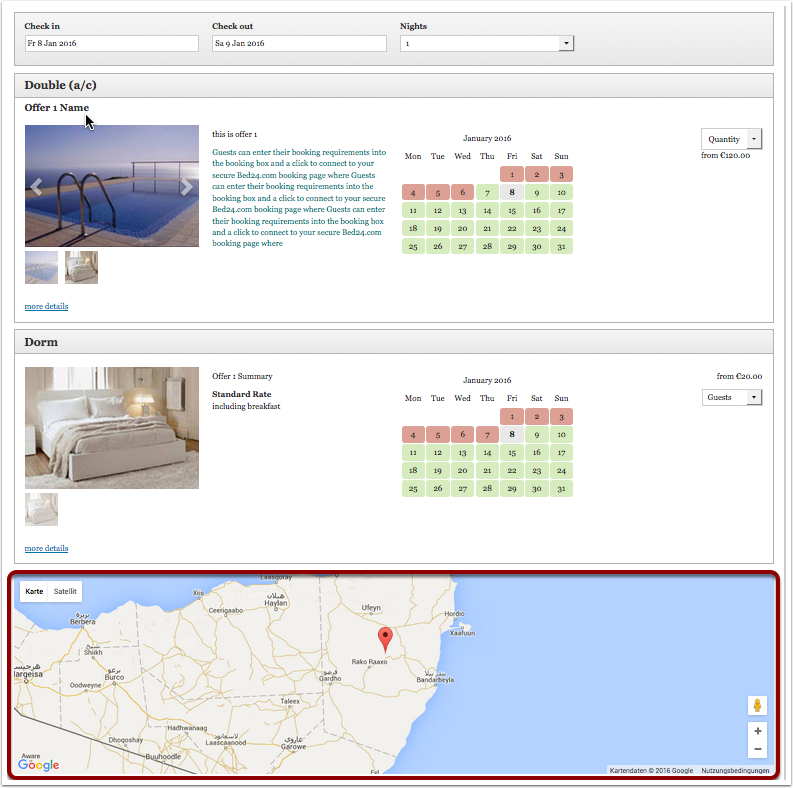 If you have multiple properties you can use the multiple property booking page to displays all properties in your account. 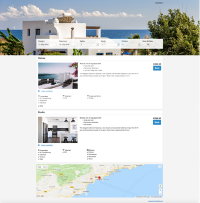 It links to the property booking page where the actual booking is made. Go to SETTINGS->BOOKING PAGE and select "Booking Page Version" = Responsive. This setting will activate Layout 1. When you change from adaptive to responsive you need to assign your pictures again. Go to SETTINGS->BOOKING PAGE->PICTURES. Set the selector to the room then choose "Offer 1" and activate the picture/pictures you want to display. If you are using more than one offer repeat for each. NOTE: If you select "Booking Page Version" = Responsive your live web site will change to the new design. 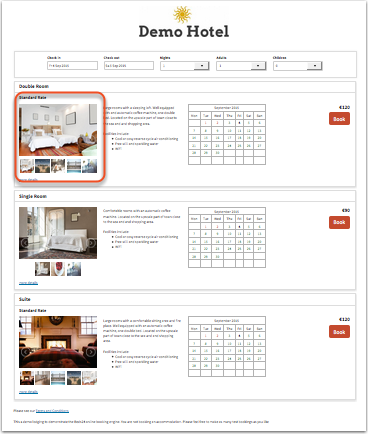 If you just want to have a look you can do this adding &version=3 to the URL of your booking page. To see the different layouts also add the layout number eg. &version=3&layout=2 will show you layout 2. Alternatively you can copy your property and use the copy for testing. If you do this make sure all channel manager connections are deactivated in the copy property. 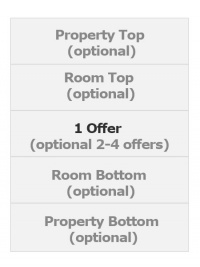 The normal monthly fee will apply for additional rooms so you might want to reduce the number of rooms in the copy property. When you are finished with the customisation you can use the "Clone Property" function in SUBACCOUNTS (top right menu) to apply the changes to your real property.